Peter Mark has grown into Ireland's best known hairdressing brand and one of Europe's most successful hairstyling groups with 71 salons nationwide. Peter Mark staff are trained to the highest standards in the company’s own training centres in Belfast and Dublin, so when you come to Peter Mark you can expect and get the best. Peter Mark was founded by Peter and Mark Keaveney in 1961, and opened its first salon on Grafton Street in Dublin. Since then, Peter Mark has grown into one of Europe's most successful hairstyling groups. How it Works: Use this gift voucher on AllGifts.ie to order gift cards for use in any Peter Mark in the Republic of Ireland. Or you can swap this voucher for any other gift or voucher listed on AllGifts.ie. Peter Mark gift cards are posted out free of charge once ordered. Opening times vary according to salon. Peter Mark has 71 salons across Ireland. 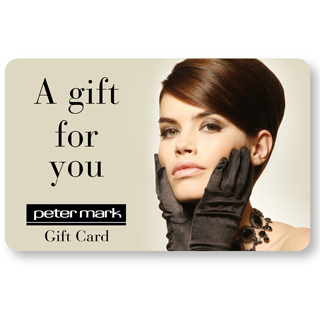 Peter Mark gift cards are available in denominations of €25s, €50s and €100 (e.g. €25, €50, €75, €100, €150, €250 etc). Minimum gift card value is €25. Peter Mark staff are trained to the highest standards in the company’s own training centres in Belfast and Dublin, so when you come to Peter Mark you can expect and get the best. Peter Mark was founded by Peter and Mark Keaveney in 1961, and opened its first salon on Grafton Street in Dublin. Since then, Peter Mark has grown into one of Europe's most successful hairstyling groups. 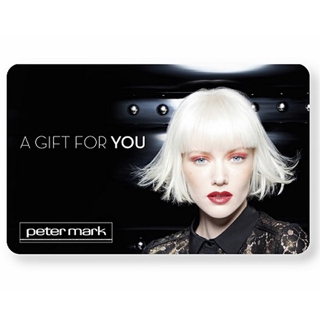 Peter Mark Gift Cards are posted out free of charge, normally within 5 working days.